VANCOUVER, BC--(Marketwired - October 04, 2016) - Native Ads Inc. (www.nativeads.com) has dramatically enhanced the consumer responsiveness of its Titan platform with advanced conversion tracking capability. 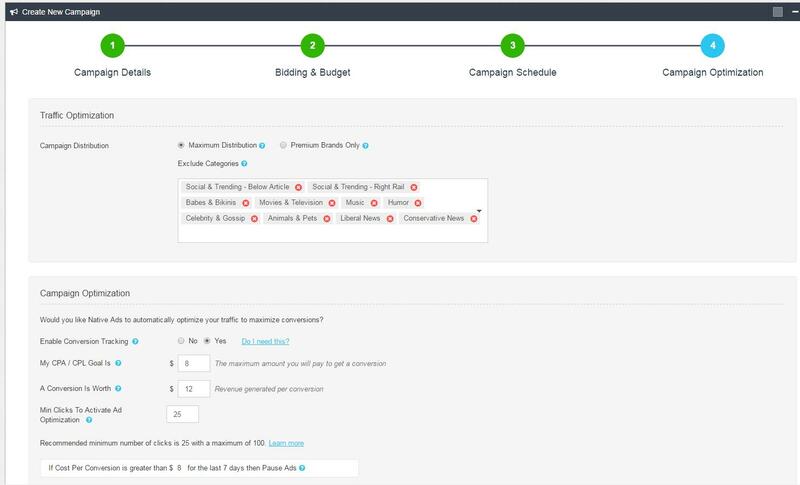 The new conversion tracking feature allows marketers to carefully track their ads online to find profitability and ad effectiveness, as well as offering marketers the ability to automatically pause campaigns for additional ease in optimization. Native Ads, Inc. focuses on allowing advertisers to drive quality, high-converting traffic through content recommendations and in-stream widgets. Their self-serve demand side ad platform, Titan, was developed in-house for advertisers by advertisers. Titan is unique in the industry, thanks to its conversion tracking feature and a new image tracking pixel. "At Native Ads, we started our careers as performance based affiliates and we would always get upset at ad networks that just kept trying to sell us traffic. Everyone always said, "We've got the best converting traffic!" but it was pretty rare that you'd actually get any conversions," explains Charlo Barbosa, Founder and COO of Native Ads. 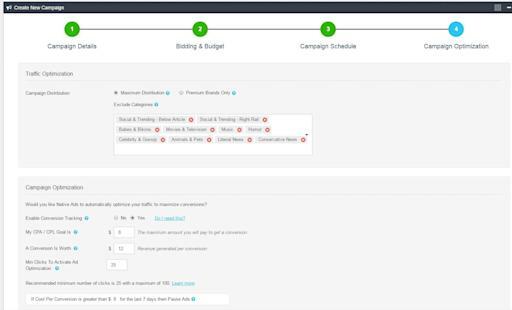 "One of our primary goals was to help performance based marketers to get those conversions and with our pixel tracking system, you can easily achieve those goals and the algorithm will automatically optimize to achieve your CPA and CPL goals." 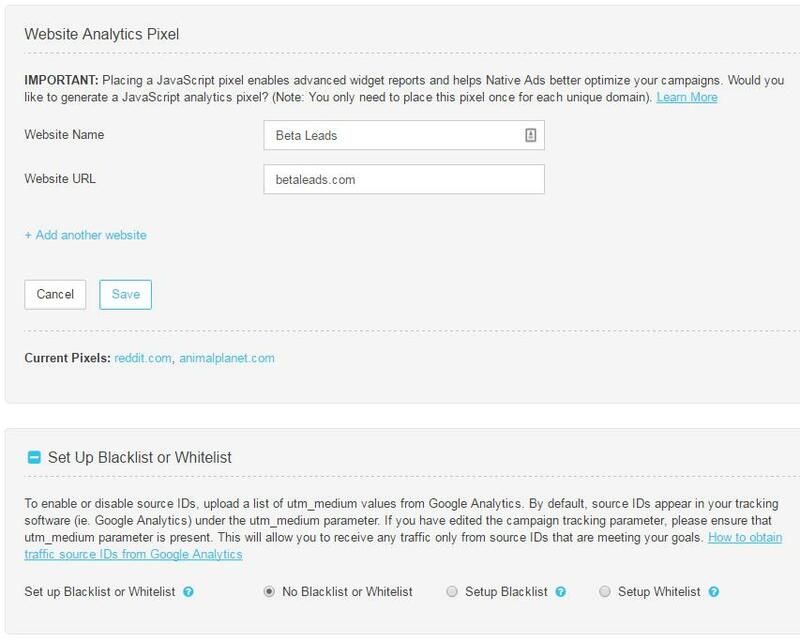 When fully enabled, marketers can use the Titan platform to instantly see which of their ads are driving conversions and which ads are ineffective. They can use the powerful conversion reports to track their marketing objectives closely, checking metrics such as revenue per click and profit/loss at a single glance. While many native ad platforms are available, almost none offer any form of conversion tracking with this level of detail and control. "It's so important that we avoid assumptions and let the data do the talking," says Jon Malach, CEO and Co-Founder of Native Ads, "By using our conversion pixels, you may find that specific traffic sources you'd never think would convert well -- do, in some cases better than the sources you've seen perform the best in the past!" Native Ads is one of the world's leading native advertising exchanges, connecting advertisers, brands and agencies with publishers, networks and exchanges via content recommendation and in-feed ad widgets. Our goal is to create a one-stop native advertising platform for advertisers to purchase traffic from all native advertising sources and for publishers to monetize their ad inventory. The company was founded in June 2014 by COO and President Charlo Barbosa and CEO and Co-Founder Jon Malach and is based in New York and Vancouver. Find out more at www.nativeads.com.